In a recent interview by Game Informer, Nintendo of America President and COO Reggie Fils-Aime was asked what was his progress currently like in The Legend of Zelda: Breath of the Wild. The friendly President said he has beaten the final boss, collected about 520 Korok seeds, and is currently on his way to finish up the DLC. He’s even completed the game wearing different outfits. When asked about how many hours he has spent, Reggie said he hasn’t looked it up yet and doesn’t want his wife to “use it as a weapon” against him. Game Informer then asked Reggie whether he was intending to go on a completionist run, to which Reggie said he didn’t want to commit to collecting 900 Korok seeds. He also mentioned that he always goes back to Zelda after playing games such as Mario Tennis Aces, because it’s his favorite franchise and the open-world experience is so satisfying. 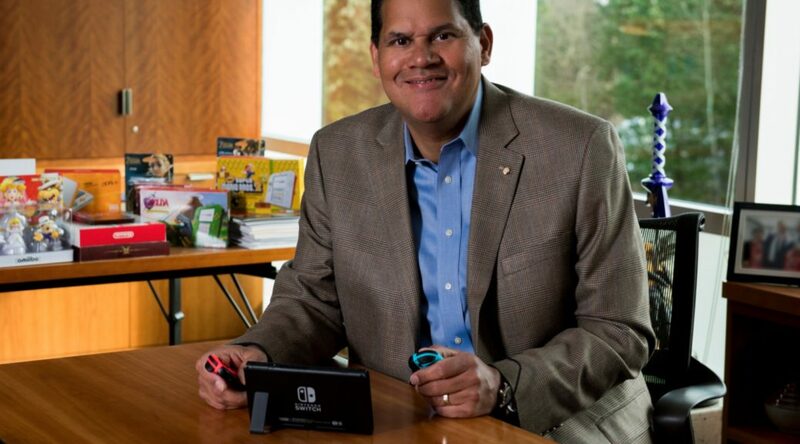 Lastly, when asked whether Breath of the Wild is his favorite Zelda game, Reggie said Link to the Past is still his favorite Zelda, but Breath of the Wild is the Switch game he has spent most of his time with.